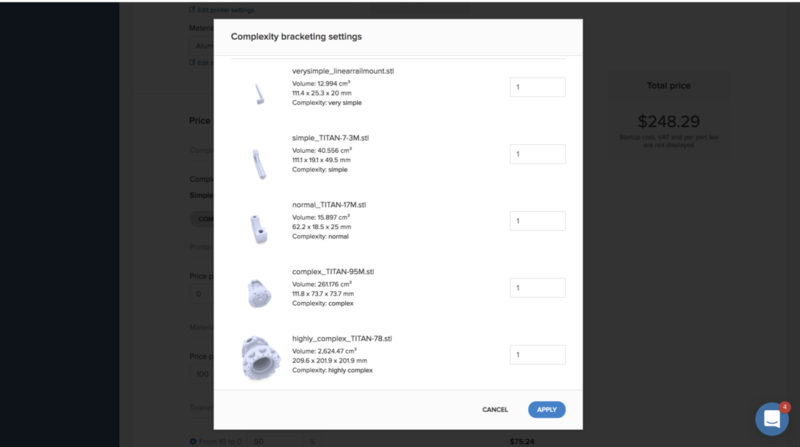 CNC users now have a way of calculating complexity, in up to five categories ranging from "very simple" to "very hard." Customers can set the parameter for each "complexity bracket" based on their own analysis of cycle time. Models in all categories are provided, but our clients can also upload their own sample models to better represent the type of work they receive from their end users. This feature available during the machine&material setup here.